Add some luxury to breakfast, teatime, and dessert with our Blueberry Coffee Cake. 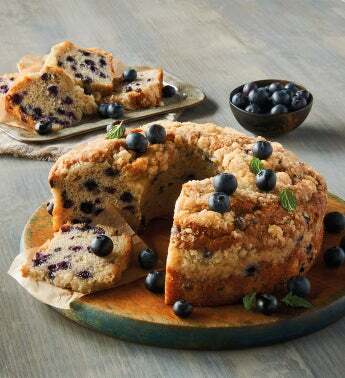 Baked in small batches and bursting with tangy blueberries in a buttery batter, this rich and decadent coffee cake is a flavor experience just waiting to be shared. Make an ordinary breakfast or brunch extraordinary.